Once upon a time, perfumes actually contained ambergris and oak moss wasn’t even a glimmer in IFRA’s eye. No one knew the name of perfumers, safely ensconced in the anonymity of their labs, save one: Guerlain, one of the most prestigious dynasties in the world of French luxury, and one whose members were actually creating the stuff bearing their name. 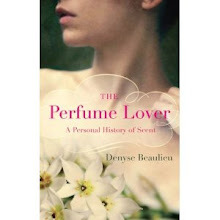 So that the house of Guerlain was faced with a unique problem when finally deciding to adopt an heir after years of mercenary-perfumer limbo, with the formidable shadow of Jean-Paul Guerlain and his forebears looming over the succession: to legitimize a stranger to the lineage in the only house whose perfumers have been known to the public for decades. Thankfully, the post-Frédéric Malle, online perfume-culture era could be leveraged: nowadays a share of the public does know the names of perfumers, and even designer brands put forward the name of the big-lab perfumers they hire. The passing of the Guerlain baton has thus been widely publicized, with joint interviews of Jean-Paul Guerlain and Thierry Wasser showcasing what appears to be genuine respect and affection between the master and his heir. 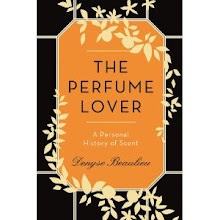 The second step in the campaign is tying in Mr. Wasser’s name to those of his illustrious predecessors through a collection: his new Cologne du Parfumeur thus joins Pierre François Pascal Guerlain’s Eau de Cologne Impériale (1853), Aimé Guerlain’s Eau de Cologne du Coq (1894), Jacques Guerlain’s Eau de Fleurs de Cédrat (1920) and Jean-Paul Guerlain’s Eau de Guerlain (1974) in the house’s classic bee bottles, now bearing labels with the authors’ name. Now what of Thierry Wasser’s Cologne du Parfumeur? The new offering is a slightly atypical cologne – of those I’ve branded “faux de cologne” – in that it doesn’t open with a huge burst of juicy citrus and vanish within minutes. Though there is a very limpid lemon note, the emblematic Guerlain bergamot is treated more as the aromatic note is actually is, its peppery-herbaceous facets picked up by rosemary and lavender and freshened up with a sprig of mint. A particularly green-tinged orange blossom, probably the same as the one used in the recent Aqua Allegoria Flora Nymphea, fleshes out the bracing terpenic cocktail with a lush floral note; musk anchors it to the skin for several hours. The Cologne du Parfumeur’s green/aromatic dominant harks back to the time when perfumes were also remedies – the first alcohol-based Western fragrance, the 1370, rosemary-based Eau de la Reine de Hongrie, was considered to be a panacea – while fitting in neatly with the current trend for green notes (green being this year’s “fresh”, though Mr. Wasser says green notes have always been his favorites). It also gives the scent, at least on my own personal gender/notes chart, a slightly more masculine vibe. Thierry Wasser reputedly worked on it as a diversion while composing Idylle (a yang, perhaps, to Idylle’s all-out feminine yin) and the herbaceous notes may reflect his own childhood memories of gathering medicinal herbs in Swiss mountains, which give his cologne a limpid, easy-going quality despite its illustrious lineage. After all, being a cologne, it doesn’t really have to go through a whole song and dance to please. And everyone knows it’s always the guy who doesn’t try too hard who ends up with the booty. Correction added May 4th: Unlike what was mentioned in the original post, Arsène Lupin will not come out in a double version: it is a composition signed by Jean-Paul Guerlain. Illustration: Man taking a shower in Beverly Hills by David Hockney (1964). I am so looking forward to this one. Thanks for the informative post! Do we get better perfumes since a marginal fraction of the population knows the name of a handful of perfumers? Unless one has a taste for unimaginative, thin and pale fruity florals like Guerlain Idylle composed by Thierry Wasser, I think the answer to that is pretty clear. Let's not forget that Serge Lutens's vision brought him to the public's attention and contrary to Frederic Malle, he diminished the role of the "nose". Jean-Claude Ellena is well known for being Hermes in-house perfumer where he has creative freedom with no limits, however, when he was commissioned to undertake the daytime version of Amouage Gold called Amouage Dia, I believe he composed his best perfume, (at last a fragrance of his that has complexity and longevity after two hours! )...and not too many people know that. Am I looking forward to this new IFRA compliant Guerlain green cologne composed by Thierry Wasser? Not at all. Bring us back Gobin Daude Seve Exquise! La Bonne Vivante, I'm no cologne fiend but this is very pretty. Uella, have I said that perfumes were better because we knew the names of perfumers? No. I was writing about Guerlain's specific succession problem and the strategy used to solve it. Communicating on the names of perfumers is just that, a communication strategy. The quality of the perfumes comes from a combination of talent and vision -- which can only express themselves if there is an amount of creative liberty -- and good quality materials don't hurt either. After that, any configuration is possible, and lots of what comes out with the name of the perfumer put forward, including in niche, is only "good" perfume as opposed to "beautiful" perfume (and sometimes not even that good). I do, however, believe that the notion of perfume authorship, in the sense of giving perfumers the possibility of expressing their specific style, is more likely to yield interesting work than design-by-commitee. It draws the art back to the era when the idea came from the perfumer rather than from the marketing department. I'm happy that some have the opportunity of doing it, and in that sense, I *do* consider Lutens to be an author. One can always regret that this isn't the type of perfumery offered by the mainstream, but I'm afraid in our era of mass consumption, short attention spans and instant gratification, it's become impossible. For Amouage, JCE worked within the codes of Amouage: preferring them to the Hermès codes he has created is a matter of taste. I partially agree with Uella - no, we're not getting better perfumes. And no, I'm not looking forward to this new Wasser creation - Idylle was enough of a disappointment. But I don't think the problem lies in showcasing the identity of the perfumer (or keeping his name obscure). The problem is, the very codes of perfumery are changing - and so far, no one really knows what will come of it. In the meantime, IFRA has already banned all of the older (classical) ingredients, and we have to face the flood of mediocre releases, both mainstream and niche. Fashionistaag: I'm going with what Jean-Claude Ellena said at the French Fifi gala: "Trust the perfumer". I don't believe big perfume houses can ever play the role they did up to the 70s: the financial stakes are too high, and the system can't be turned around at this stage. Despite all the niche dreck -- and niche is after all just a system of distribution, not an aesthetic creed -- there's a better chance of seeing strong propositions emerging from that sector. Dominique Ropion is never better than when he works for Frédéric Malle, Mathilde Laurent is a new force to count with, Bertrand Duchaufour is staking out new territories since he's gone independent, Olivia Giacobetti has a profoundly distinctive style, and Jean-Claude Ellena, whatever one thinks of his style, has created a style. Serge Lutens may have exhausted what he had to say in this medium -- and then again maybe not, only time will tell. Meanwhile, he's been prodigiously influential, and even if he never made another perfume, there would still be a remarkable collection to enjoy. I've accepted that no one is ever going to be Jacques Guerlain or Ernest Beaux again. This is a living art form, and I'm as interested in discovering contemporary expressions of it as I am in enjoying the masterpieces of the past. carmencanada, what I said was not to be taken personal by any means but simply a different perspective and I had more in mind Thierry Wasser, the poster boy of mainstream french perfumery than Mathilde Laurent's artistic creativity. However, I wonder about one thing; the fruitier, the fresher and girlier fragrances get, the least they're selling year after year while they realised the sales of classics like No.5 were holding steady, so I know this isn't the '70s anymore and everyone believes only 16 yr old girls buy fragrances these days but I don't know, something smells fishy in Denmark! There are a lot of reasons for sales to be going down in mainstream perfumery, one of which must be "it all smells the same", another the huge number of launches, no to mention the downturn. Meanwhile, the industry just follows its own momentum despite collective handwringing. But, as a former president of the SFP once told me -- and he wasn't joking: "It's your fault, you women! Always asking what's new when you come into a perfume shop!" Fashionistaag, you're preaching the perverted! Actually, on vintage fragrances: I love being able to smell the ones I own and pondering their beauties, but they get about as much wear as my not-inconsiderable vintage clothing collection, which is to say: very occasional. carmencanada, when mainstream fragrances smell the same as deodorants and shower gels that are ten times cheaper, no wonder perfume doesn't sell anymore, it's no rocket science. Just my two cents but I hope that next time Thierry Wasser comes up with his new Idylle flankers and other girly fruities for Guerlain, perfume bloggers like yourself will either ignore his work or be more critical than you guys have been doing so far because I don't think wishy-washy reviews are helping no one. Jean-Claude Ellena will be remembered for his nouvelle parfumerie but I don't think nobody will care enough to remember Vanille Galante in 20 years from now, however, I believe Lutens will be remembered for Feminite du Bois and (in)famous scents like Tubereuse Criminelle. Based on your overview, D, I'd say what Guerlain is attempting is a very thoughtful transition of power. And I respect that very much. They seem to be retaining the notion of "house," and not losing sight of the history it has established, while embracing the notion of "living art form" or progress or innovation or what have you, and putting Wasser firmly in place to be in charge of the vision going forward. Or at least, the perceived person at the helm. I love independent perfumers, and think they perform a hugely important function in the realm of innovation and keeping the notion of art in perfume alive and healthy. But I would be loathe to dismiss the impact a large company, a house, can have on the industry, on the market, and yes, on the art. So I hope this installation of a new person under the mantle of Guerlain goes well. And I hope that people continue to purchase house and niche...particularly offerings that are "good." I tried Cologne du Parfumeur today for the first time. I liked it very much. Is not a traditional EdC. I like all the "extras" (herbs and flowers) on top of the citrus notes. I think this will be well received. Uella, I try to evaluate fragrances based on the standards they set out for themselves, and on the conditions surrounding their conception and launch. I consider perfume to be an art form in certain conditions: if those conditions are met (creative liberty, good budget for materials), then that's how I look at it. But perfume is also a product, and if its ambitions are not artistic achievement but reaching a certain public, for instance, or responding to the constraints of a giant luxury company aiming for a best-seller, or providing a variation on a well-established genre like cologne, I'll take that into account. When I was a fashion writer, I didn't judge a fashion show by Chanel in the same way I did a show by Hussein Chalayan. It's my own choice as a critic to take all of this into account. If a fragrance is profoundly uninteresting to me, like the couple of new Ricci releases or Givenchy Eaudemoiselle, I usually don't bother with it, because I just don't have the time or patience to live with it for the few days it would take me to analyse it, hence the dearth of scathing reviews. If it's good enough for what it sets out to be, like this cologne or Flora Nymphea, then I don't see why I should diss it. As for Ellena's heritage, I beg to differ: First, Eau de Campagne, Eau Parfumée au Thé Vert, Déclaration, Terre d'Hermès have all created templates from which dozens of fragrances have sprung and all are enduring best-sellers. A perfumer's heritage is measured not only in landmark products but in the way the templates he created have influenced the art, and the construction of the Hermessences has been very influential. As has, of course, the codes created by Serge Lutens. ScentScelf, I think I've probably answered your comment with the above. Like François Demachy at Dior, Thierry Wasser has to deal with the crushing heritage of a legendary corpus of fragrances, as well as with the demands of a behemoth luxury group. I would image he is under the pressure to come up with crowd-pleasers before he can get a little more wiggle room, so to me it's still early days to evaluate what his contribution will be. Like Jean-Claude Ellena writes in his Le Parfum, there is a difference between "good" and "beautiful". A lot of perfumes are "good": they smell nice, they are well-balanced and have good sillage. "Beautiful" happens more rarely. We tend to forget that the perfumes of the past we admire, the masterpieces, came out in a flood of "good" perfumes. Arwen, I find it lovely and with enough of a twist to make it interesting. There's such a demand for "light" and "fresh" even though it doesn't usually come from the perfume lovers who read the blogs... I'd definitely rather smell this on a man than the ubiquitous fougères. Indeed, too early to judge the success of Wasser at Guerlain. I hope I made it clear I was appreciative of the groundwork being laid, and the manner in which they were doing so. Time will tell if there is payoff. And yes, what you said about "good" v "beautiful." I ran away from tackling how to determine "beautiful." It's an interesting conversation, but I have to be on my game, so to speak, to enter that playing field. 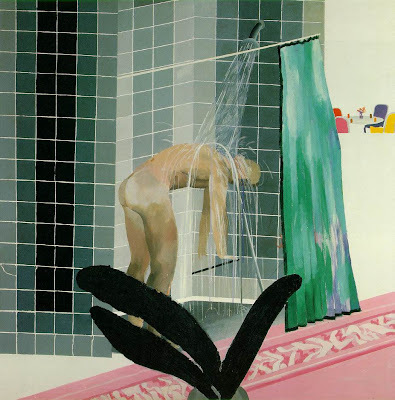 I can't say I'd paid attention to the voyeuristic flower. I just told myself: green, fresh, splash, oh, and it's a bloke for a change! Wow. I must say the ongoing discussion here is much more interesting to me than the cologne. Nevertheless, I look forward to trying it, and hope it sells zillions of bottles so Thierry can have that wiggle room you spoke of for the next round. P.S. And of course I can't help but add my voice to those who would like Seve Exquise back in production. Do you think you could find her, D, for an interview? I would read that with great attention. Alyssa, yup, lots of issues covered in the comments... As for Gobin-Daudé, it's an idea, but I can't say I know much about her work, her location or herself.